Kamil Ugurbil currently holds the McKnight Presidential Endowed Chair Professorship in Radiology, Neurosciences, and Medicine and is the Director of the Center for Magnetic Resonance Research (CMRR) at the University of Minnesota. Prof. Ugurbil was educated at Robert Academy, Istanbul (high school) and Columbia University, New York, N.Y. After completing his B.A. and Ph.D. degrees in physics, and chemical physics, respectively, at Columbia, he joined AT&T Bell Laboratories in 1977, and subsequently returned to Columbia as a faculty member in 1979. He moved to the University of Minnesota in 1982 where his research in magnetic resonance led to the evolution of his laboratory into an interdepartmental and interdisciplinary research center, the CMRR. The work that introduced magnetic resonance imaging of neuronal activity in the human brain (known as fMRI) was accomplished independently and simultaneously in two laboratories, one of which was Ugurbil's in CMRR. 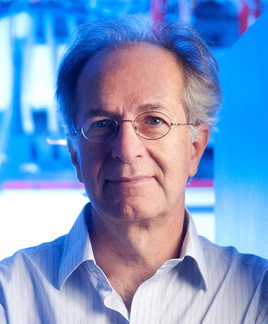 Since then, his focus has been on development of methods and instrumentation capable of obtaining high resolution and high accuracy functional information in the human brain, targeting neuronal organizations at the level of cortical columns and layers; this body of work has culminated in unique accomplishments such as the first time imaging of orientation columns in the human primary visual cortex, as well as numerous new instrumentation and image acquisition approaches for functional and anatomical neuroimaging at very high magnetic fields. For more publications, see PubMed. Ogawa, S., D.W. Tank, R. Menon, J.M. Ellermann, S.G. Kim, H. Merkle, and K. Ugurbil, Intrinsic signal changes accompanying sensory stimulation: functional brain mapping with magnetic resonance imaging. Proc Natl Acad Sci U S A, 1992. 89(13): p. 5951-5. Ugurbil K. Magnetic resonance imaging at ultrahigh fields. IEEE Trans Biomed Eng 2014;61(5):1364-1379. Ugurbil, K, Xu, J., Auerbach, E.J., Moeller, S., Vu, A.T., Duarte-Carvajalino, J.M., Lenglet, C., Wu, X., Schmitter, S., Van de Moortele, et al. Pushing spatial and temporal resolution for functional and diffusion MRI in the Human Connectome Project. Neuroimage 2013. 80, 80-104. Shmuel, A., E. Yacoub, J. Pfeuffer, P.F. Van de Moortele, G. Adriany, X. Hu, and K. Ugurbil, Sustained negative BOLD, blood flow and oxygen consumption response and its coupling to the positive response in the human brain. Neuron, 2002. 36(6): p. 1195- 210. Yacoub, E., A. Shmuel, N. Logothetis, & K. Ugurbil, Robust detection of ocular dominance columns in humans using Hahn Spin Echo BOLD functional MRI at 7 Tesla. Neuroimage, 2007. 37(4): p. 1161-77. Yacoub, E., N. Harel, and K. Ugurbil, High-field fMRI unveils orientation columns in humans. Proc Natl Acad Sci U S A, 2008. 105(30): p. 10607-12. Duong TQ, Kim DS, Ugurbil K, Kim SG. Localized cerebral blood flow response at submillimeter columnar resolution. Proc Natl Acad Sci U S A 2001;98(19):10904-10909. Uludag, K., B. Muller-Bierl, and K. Ugurbil, An integrative model for neuronal activity- induced signal changes for gradient and spin echo functional imaging. Neuroimage, 2009. 48(1): p. 150-65. Moeller, S., E. Yacoub, E. Auerbach, J. Strupp, N. Harel, and K. Ugurbil. Multi-band Multi-slice GE-EPI at 7 Tesla, with 16 fold acceleration using Partial Parallel Imaging with application to high spatial and temporal whole brain fMRI. Magn Reson Med 2010; 63(5):1144-53. Smith, S. M., K. L. Miller, S. Moeller, J. Xu, E. J. Auerbach, M. W. Woolrich, C. F. Beckmann, M. Jenkinson, J. Andersson, M. F. Glasser, D. C. Van Essen, D. A. Feinberg, E. S. Yacoub and K. Ugurbil, Temporally-independent functional modes of spontaneous brain activity. Proc Natl Acad Sci U S A, (2012). 109(8): 3131-3136. Vaughan, J.T., M. Garwood, C.M. Collins, W. Liu, L. DelaBarre, G. Adriany, P. Andersen, H. Merkle, R. Goebel, M.B. Smith, and K. Ugurbil, 7T vs. 4T: RF power, homogeneity, and signal-to-noise comparison in head images. Magn Reson Med, 2001. 46(1): p. 24-30. Van de Moortele, P.F., E.J. Auerbach, C. Olman, E. Yacoub, K. Ugurbil, and S. Moeller, T1 weighted brain images at 7 Tesla unbiased for Proton Density, T2* contrast and RF coil receive B1 sensitivity with simultaneous vessel visualization. Neuroimage, 2009. 46(2): p. 432-4. Adriany, G., P.F. Van de Moortele, F. Wiesinger, S. Moeller, J.P. Strupp, P. Andersen, C. Snyder, X. Zhang, W. Chen, K.P. Pruessmann, P. Boesiger, T. Vaughan, and K. Ugurbil, Transmit and receive transmission line arrays for 7 Tesla parallel imaging. Magn Reson Med, 2005. 53(2): p. 434-445.